-- Charlie Blakeman is living in New York, on Washington Square, struggling to write his second novel and floundering, when his college love, Sophie Wilder, returns to his life. Sophie, too, is struggling, though Charlie isn’t sure why. They’ve spoken only rarely since falling out a decade before. Now Sophie begins to tell Charlie the story of her life since then, particularly the days she spent taking care of a dying man with his own terrible past and the difficult decision he presented her with. When Sophie once again abruptly disappears, Charlie sets out to discover what happened to Sophie Wilder. 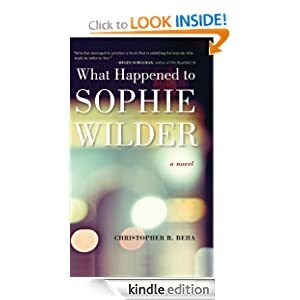 What Happened to Sophie Wilder or to sample this book for FREE! Eleven minutes passed before Delaney Maxwell was pulled from the icy waters of a Maine lake by her best friend Decker Phillips. By then her heart had stopped beating. Her brain had stopped working. She was dead. And yet she somehow defied medical precedent to come back seemingly fine -despite the scans that showed significant brain damage. Everyone wants Delaney to be all right, but she knows she's far from normal. Pulled by strange sensations she can't control or explain, Delaney finds herself drawn to the dying. Is her altered brain now predicting death, or causing it? 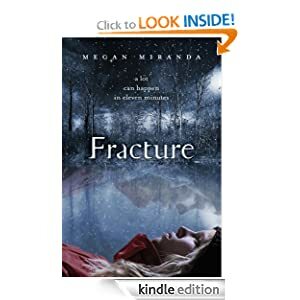 Fracture or to sample this book for FREE! -- If parenting is making Americans unhappy, if it’s impossible to “have it all,” if people don’t have the economic, social, or political structures needed to support parenting, then why do it? And why are anxious new parents flocking to every Tiger Mother and Bébé-raiser for advice on how to raise kids? In Why Have Kids?, Valenti explores these controversial questions through on-the-ground reporting, startling new research, and her own unique experiences as a mom. She moves beyond the black and white “mommy wars” over natural parenting, discipline, and work-life balance to explore a more nuanced reality: one filled with ambivalence, joy, guilt, and exhaustion. 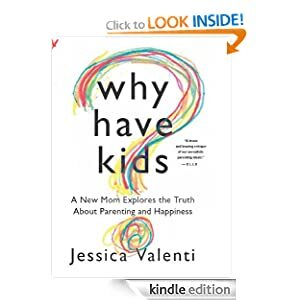 A must read for parents as well as those considering starting a family, Why Have Kids? is an explosive addition to the conversation about modern parenthood. Why Have Kids? or to sample this book for FREE! -- We think nothing beats a delicious homecooked meal, unless it's spending time with friends and family. With a slow cooker doing all the work, you don't have to compromise either! In Our Favorite Speedy Slow-Cooker Recipes we've chosen over 60 mouth-watering slow-cooker recipes, all with 5 ingredients or less! Start your day with Rise and Shine Ham, enjoy Country Chicken and Dumplings and don't forget Unbelievable Caramel Pie for dessert. Yum! Think slow-cooking is too complicated? Put Our Favorite Speedy Slow-Cooker Recipes from Gooseberry Patch to work and you’ll only need a fraction of prep time! Thanks to easy recipes, most with five or less ingredients, this book makes dinner easy! 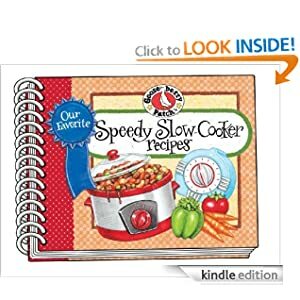 Our Favorite Speedy Slow-Cooker Recipes or to sample this book for FREE!